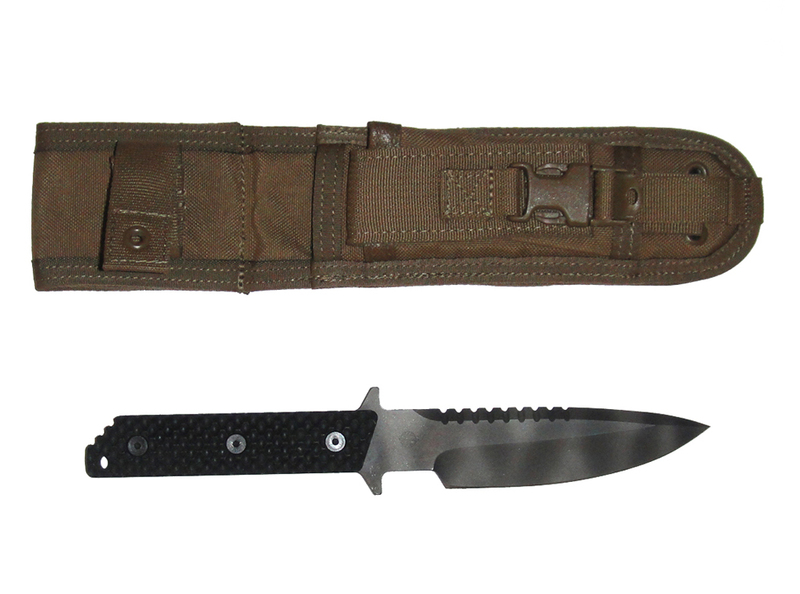 Strider Knives MT-SS-GG MOD 10 fixed blade knife. CPM S30V stainless 4.5" blade, OAL is 10.25". Spine serrstions and G10 gunner grips. Tiger stripe finish. Nylon sheath with kydex liner.